But contacting a club committee member is still the easiest way to help. 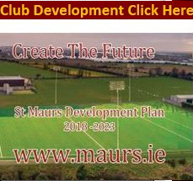 See www.maurs.ie for the details. This project is the future of the club. 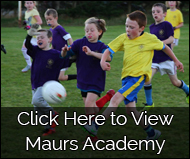 It guarantees winter training at home, no matches called off or moved away, a home for school teams and the best club facilities in north Dublin . If you’re Maurs you need to be in ! All the extra food was donated to the homeless soup kitchen at GPO. Academy hurls are ready to go. Each registered Academy child can now practice small ball at home. Most games are won when no one is watching! We will also distribute the complimentary Hurl, Training top and Wristband for registered academy players. St. Maur's G4MO took on ballymun kickhams Monday night in the lashing rain and were victorious. Score 2-5 to 0-3.